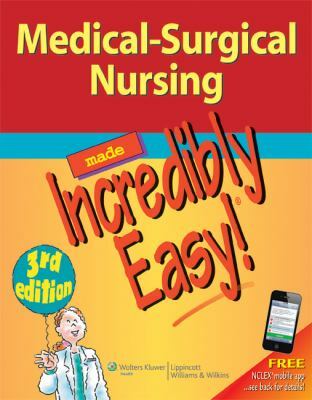 Lippincott Williams and Wilkins Staff is the author of 'Medical-Surgical Nursing Made Incredibly Easy! (Incredibly Easy! Series)', published 2011 under ISBN 9781609136482 and ISBN 1609136489. Loading marketplace prices 11 copies from $19.57 How does the rental process work?